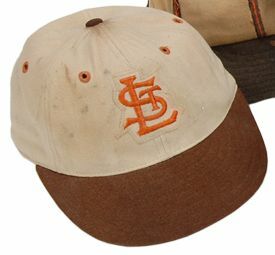 The Browns moved to Baltimore following the 1953 season. 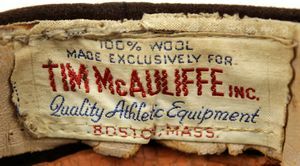 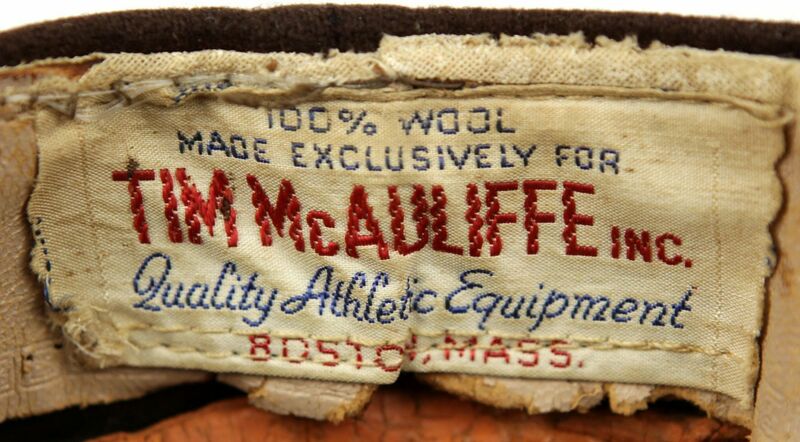 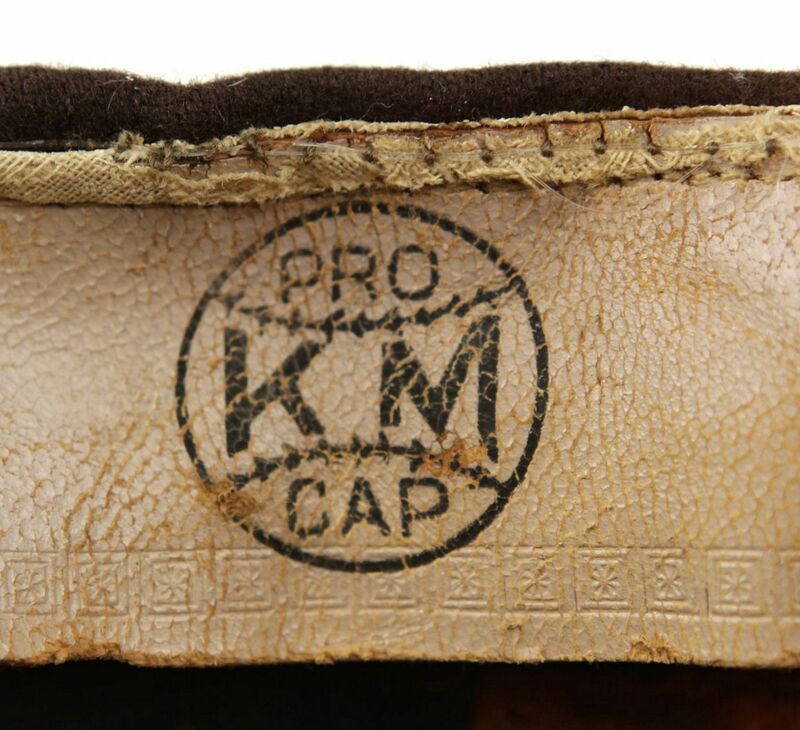 LOTS of replicas made by New Era and KM Pro are out there being passed off as authentic. 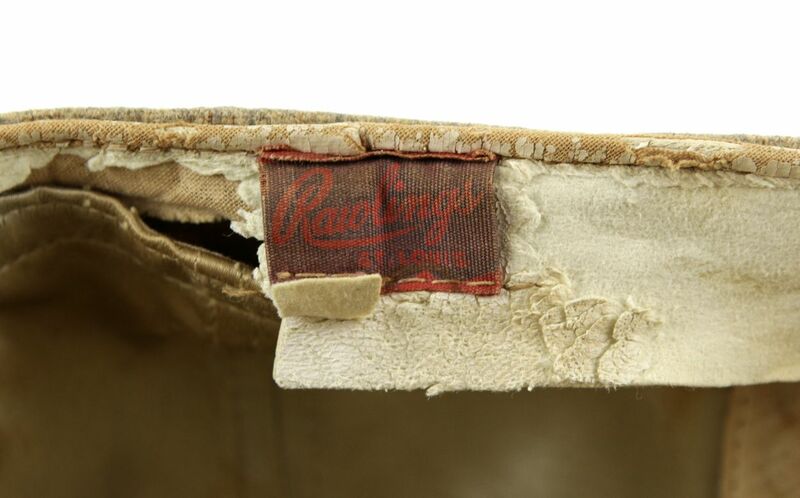 They're not. 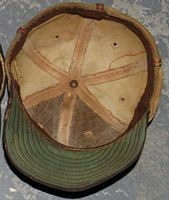 These are the real on-field caps. 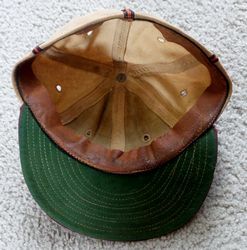 If anyone is selling any caps like these let me know! 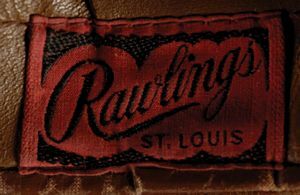 A one year style with orange piping on the seams and a new logo. Others like this one were rough burlap. 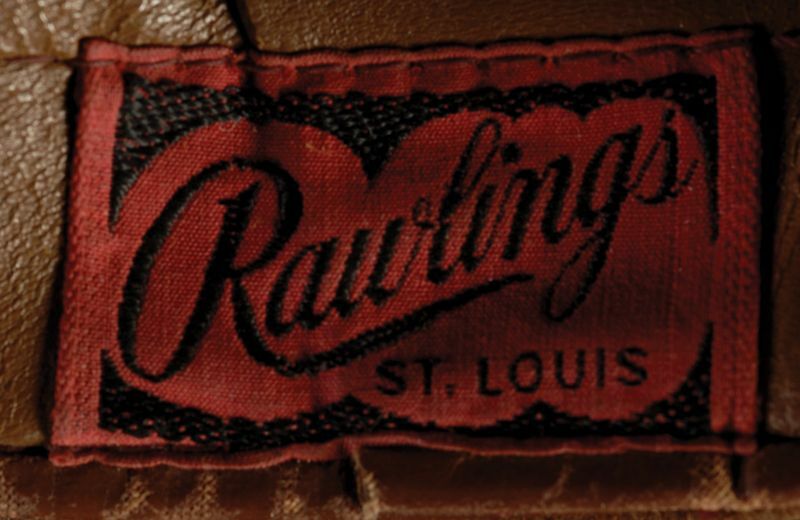 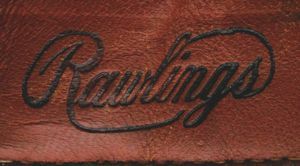 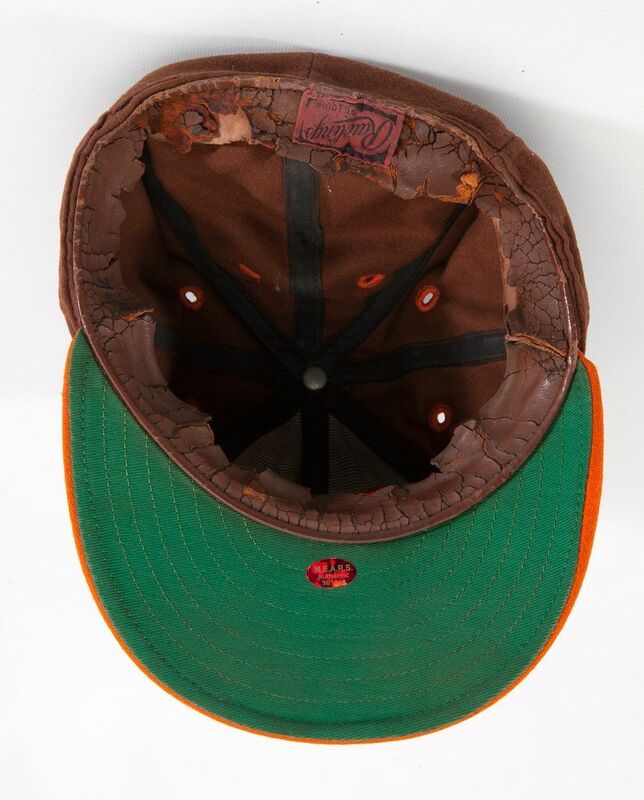 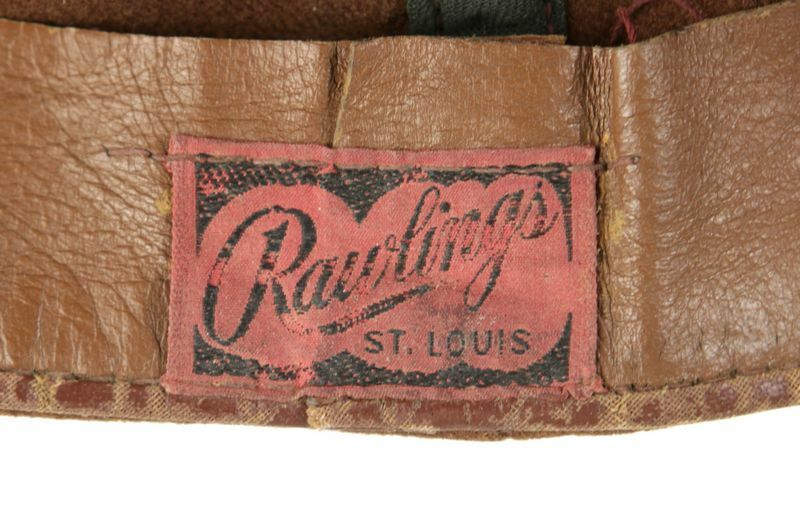 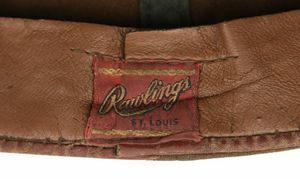 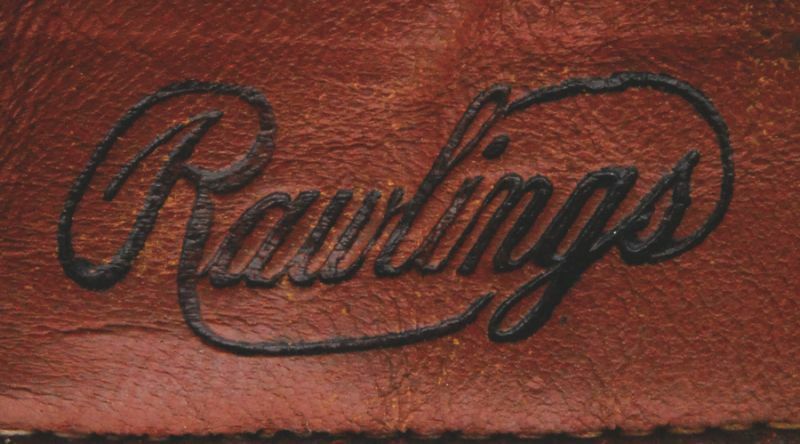 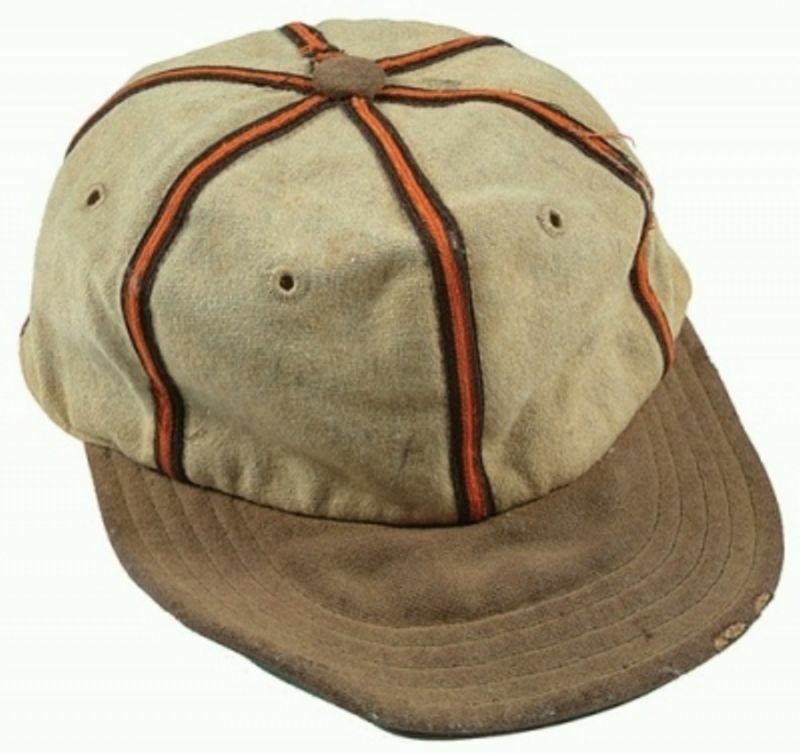 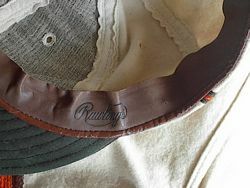 Rawlings and Sisler-Hummel Sporting Goods supplied Browns caps - I'm not sure who made this style. 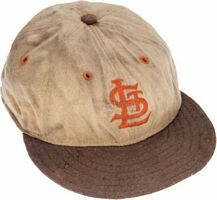 It's definitely from 1944. 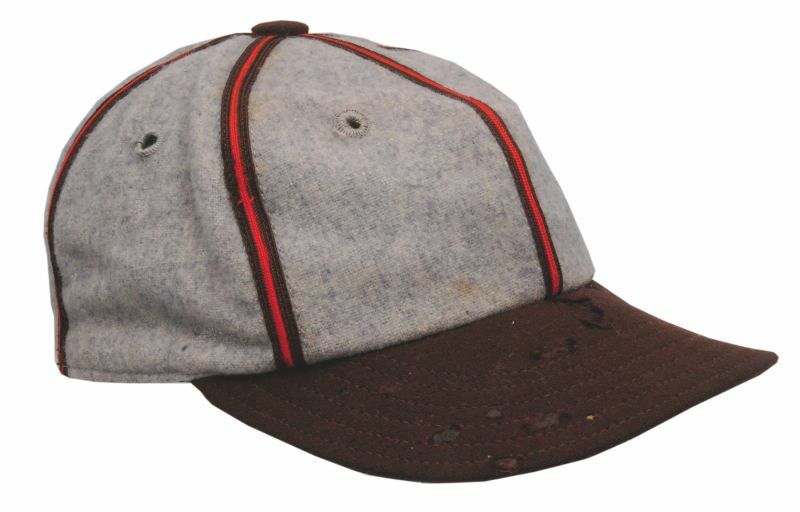 Home caps were white, road caps grey. 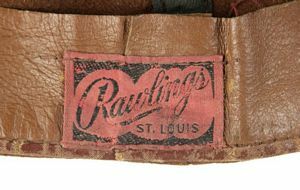 Logos were both embroidered directly and sewn on a patch. 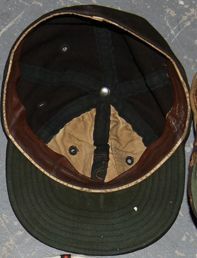 These ones are 8 panel cap with satin liners. 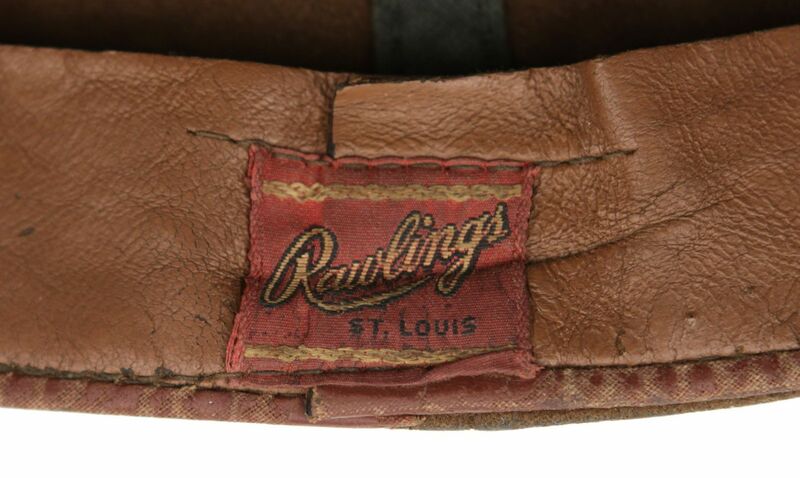 I'm pretty sure they were used in 1947. 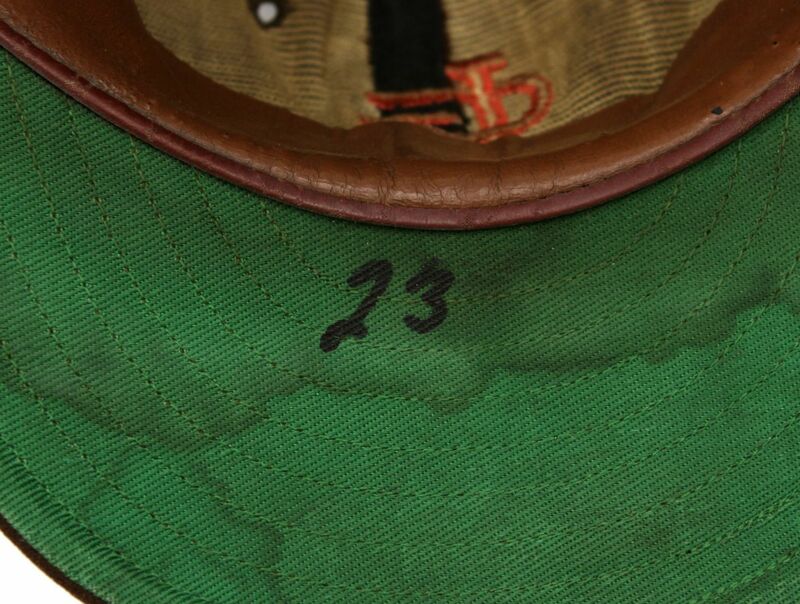 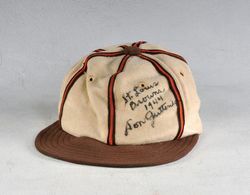 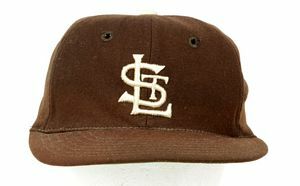 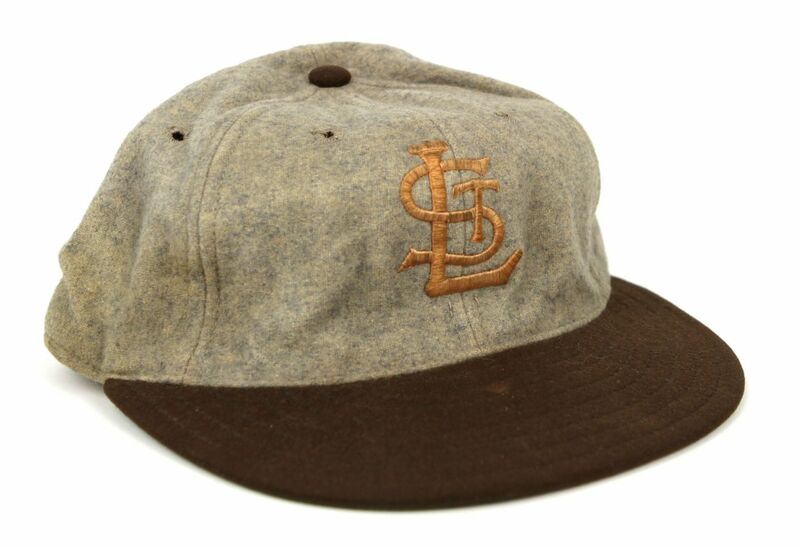 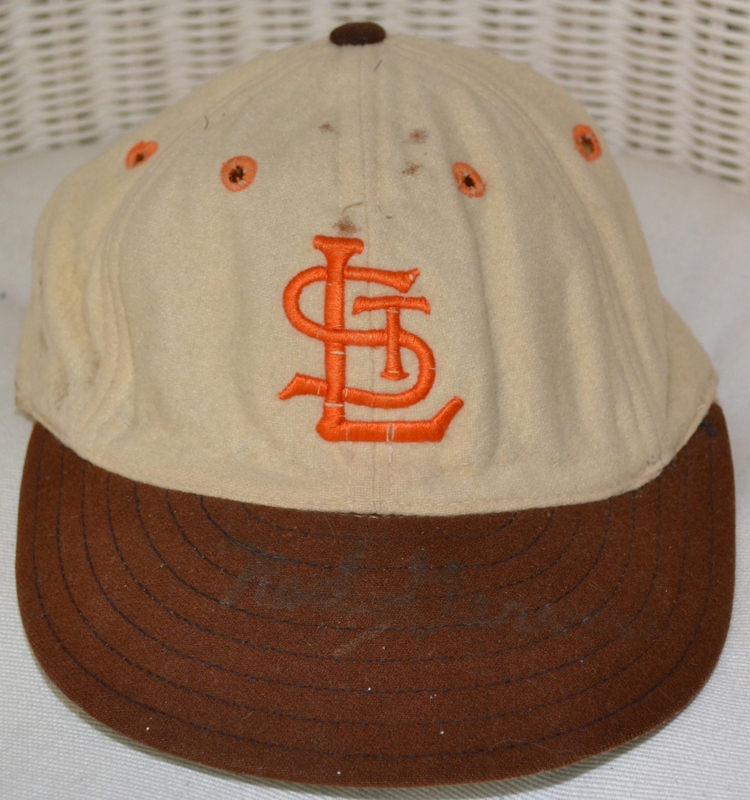 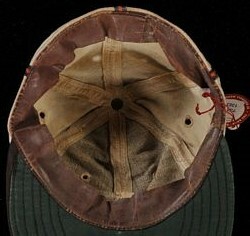 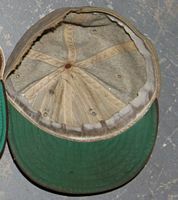 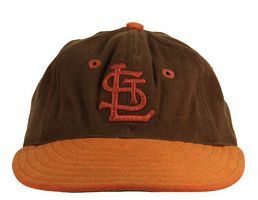 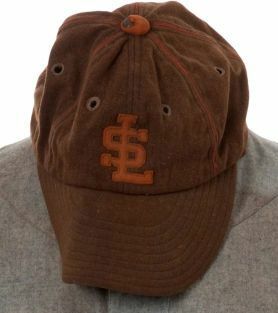 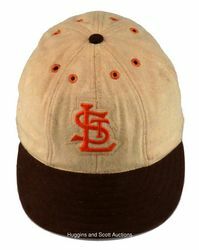 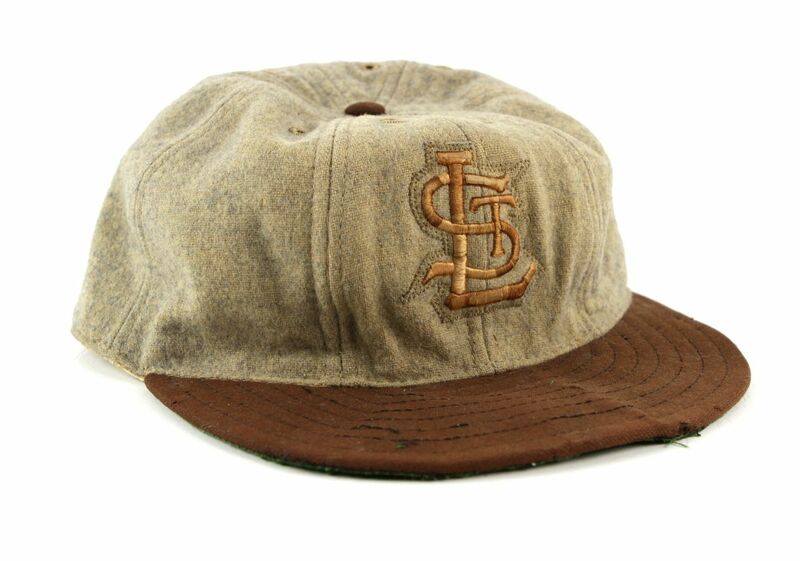 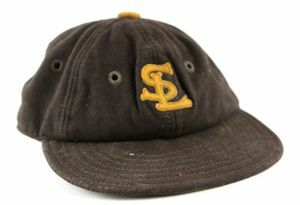 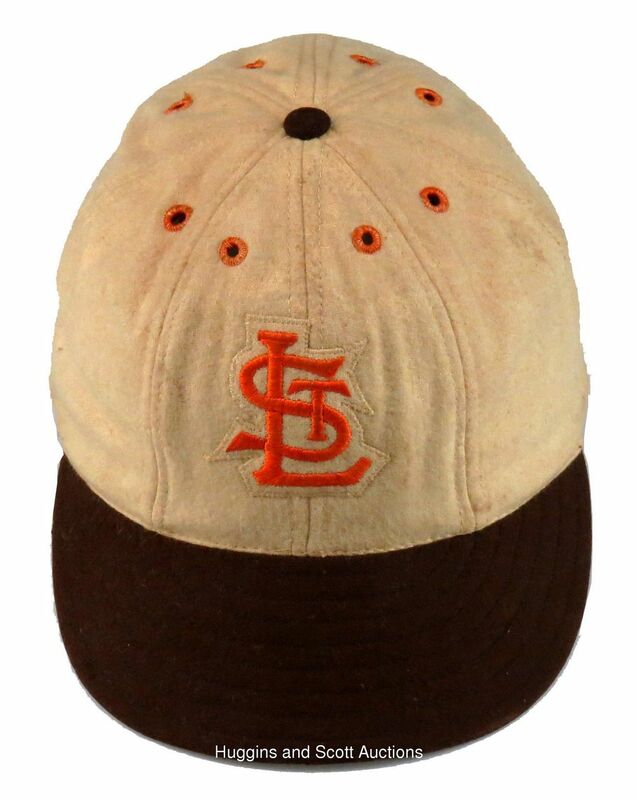 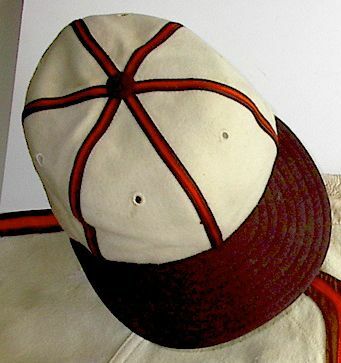 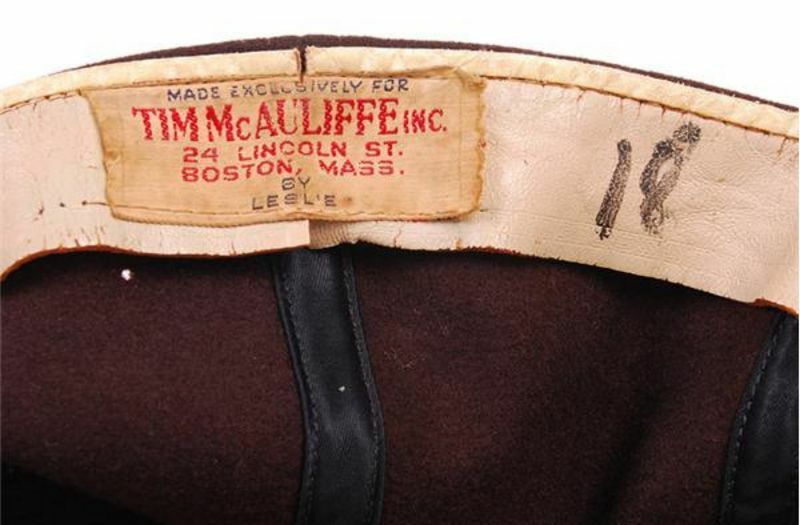 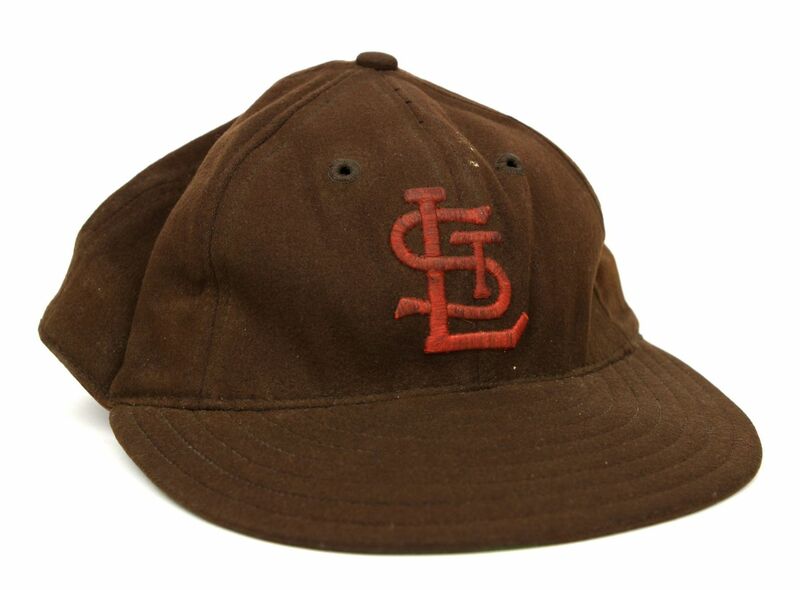 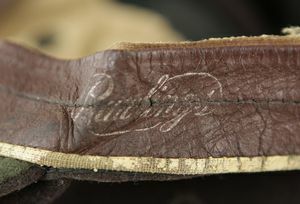 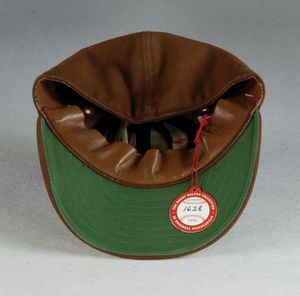 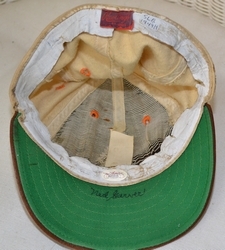 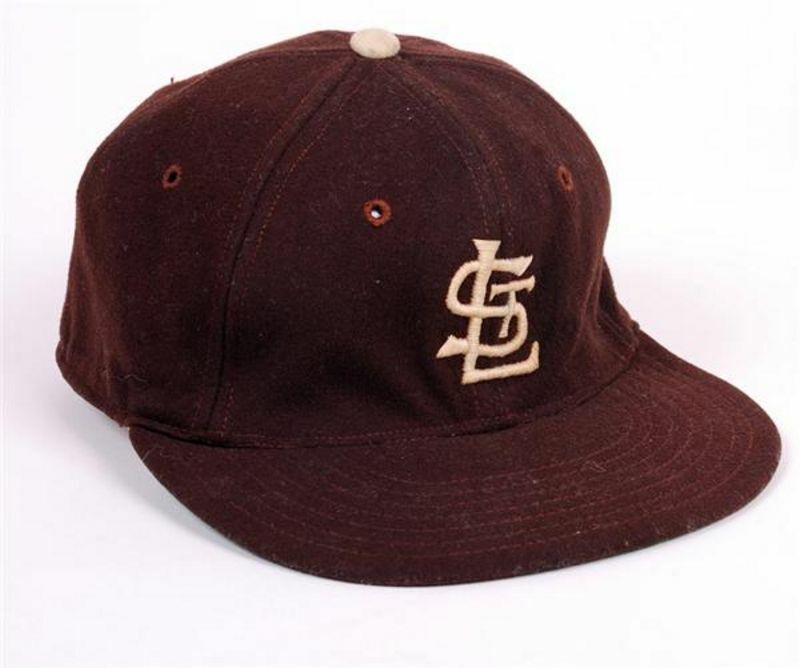 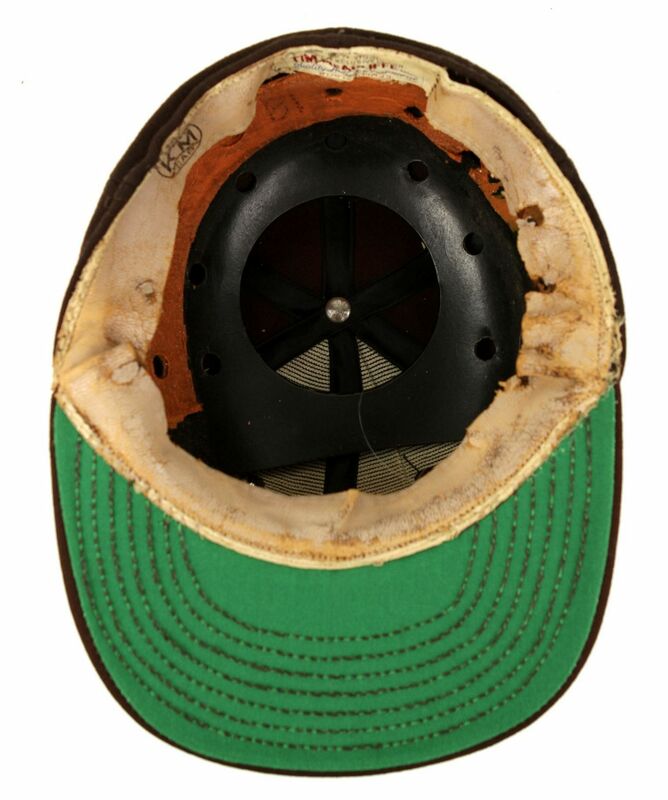 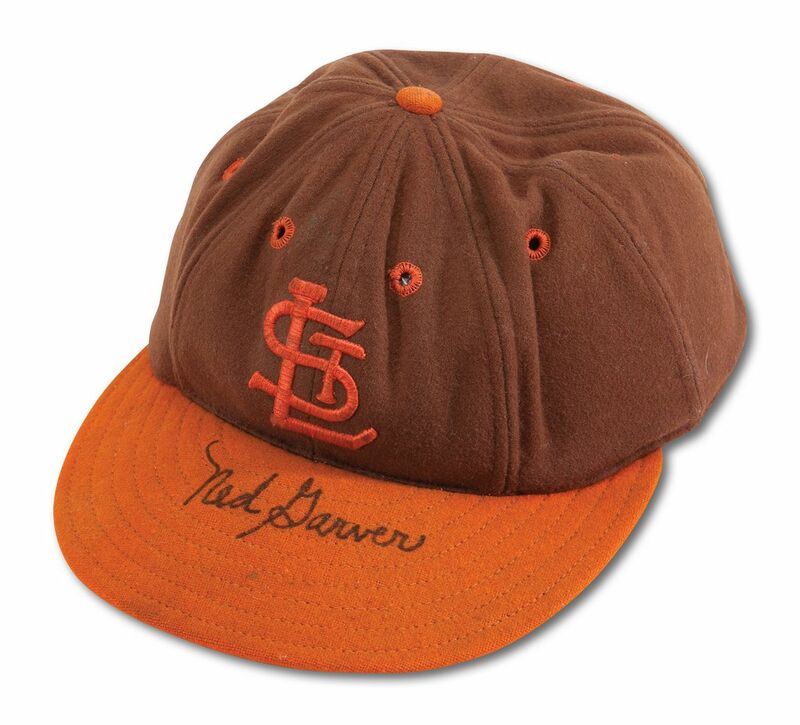 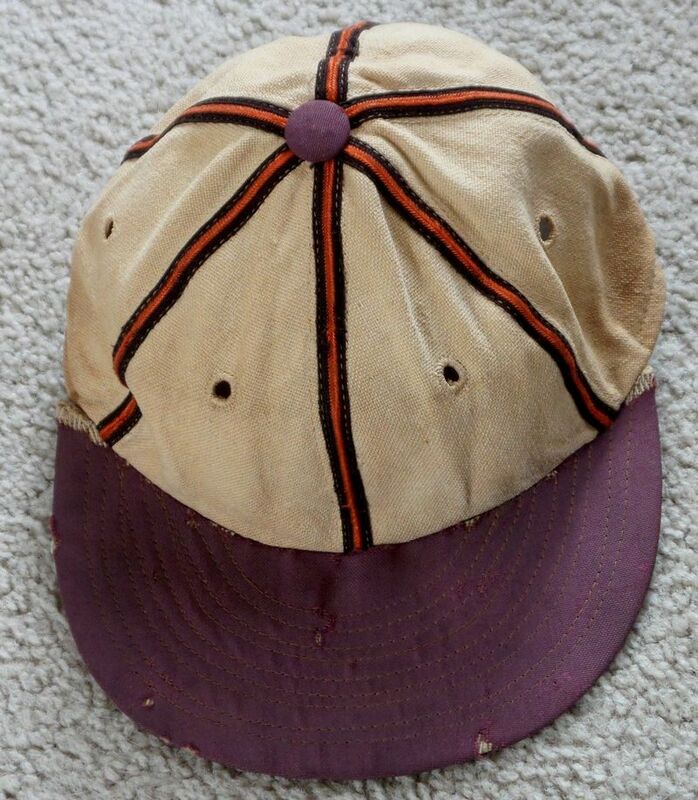 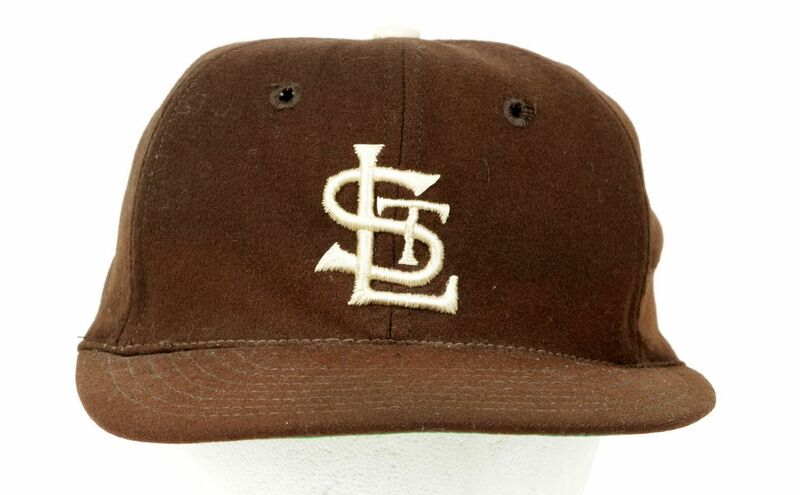 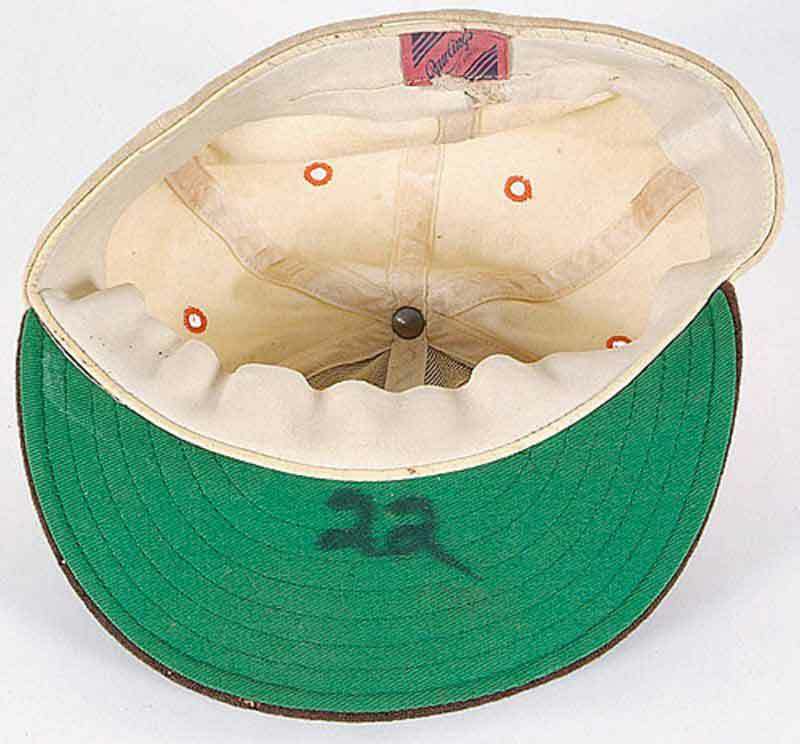 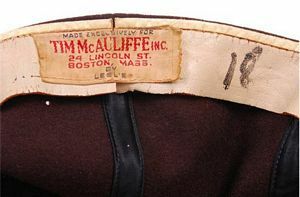 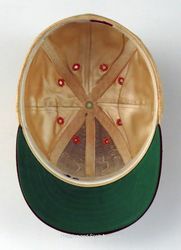 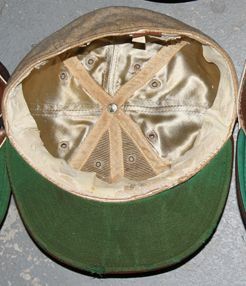 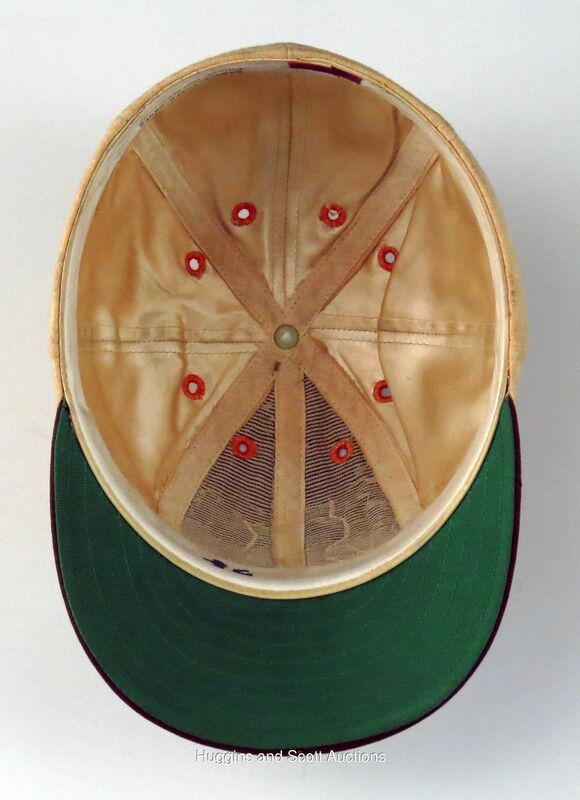 This all-brown cap was worn in 1950 spring training. Not sure if it was also used in the regular season, anyone know for certain? 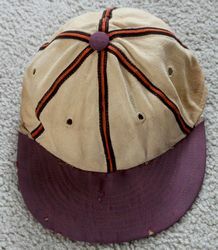 This is the regular season cap. This all-brown cap has brown vent holes whereas the 1950 all-brown cap above has orange vent holes. 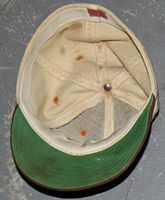 It was used in 1952 spring training - I'm not sure if it was a carryover from the 1951 regular season. 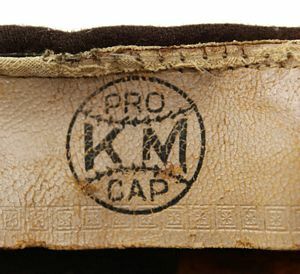 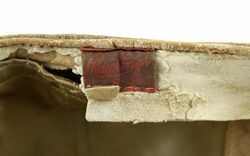 If anyone has more info on these all-brown caps with the orange logo, please let me know. 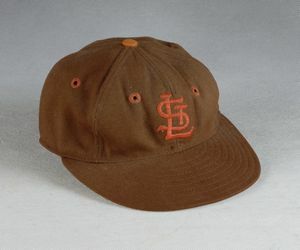 For the 1952-53 regular seasons, the team wears all-brown caps with a white logo. 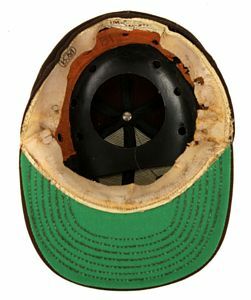 This one has the plastic helmet insert. After the 1953 season the Browns relocate to Baltimore.